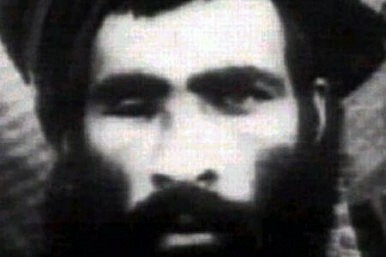 Dead or Alive, Is Mullah Omar Still a Wanted Man? The leader of the Afghan Taliban for over two decades, Mullah Omar, may finally be dead. Or not. Making matters less clear, Afghanistan’s intelligence agency, the National Directorate of Security, has said that Omar reportedly died over two years ago in a hospital in Karachi. Somewhat corroborating that timeline, but certainly not cause of death, a spokesperson for a Taliban splinter group, the Afghanistan Islamic Movement, noted that Omar was killed by senior Taliban leaders two years ago, in July 2013. As the fog settles around the recent reports, it’s worth mulling over what Omar’s death would mean for Afghanistan’s broader security situation and the ongoing peace talks between the Afghan government and the Taliban, which appear to recently have gained some steam with the involvement of China and Pakistan. Omar, who formally holds the title of Amir al-Mu’minin (leader of the faithful), is regarded as a Caliph by the Taliban, and as a source of spiritual guidance. Thus, anything the Taliban does at the strategic level—this excludes individual attacks but includes the broader peace talks with the Afghan government—is said to have received Omar’s imprimatur. Indeed, the recent peace talks between the government and the Taliban that were held for the first time in Islamabad, Pakistan, with the United States and China on the sidelines, were said to have received Omar’s approval. The above is, of course, the conventional wisdom and how most observers in the west continue to regard the internal operations of the Taliban. The reality, however, may be considerably more complex (it almost always is). Consider that the Taliban, for at least a few years now, hasn’t been a monolithic organization, with a clear command structure with Omar at its apex. The Taliban continues to have a “central” leadership nominally. Omar’s deputy, Mullah Akhtar Mohammad Mansour, who effectively replaced Mullah Abdul Ghani Baradar as second-in-command, largely oversees the group’s moves, including its willingness to engage in peace talks. Indeed, recent reports that Omar was killed two years ago allege that Mansour was the one to drive the knife in, effectively seizing power in a coup. Should Omar’s death finally be confirmed, the Taliban will likely enter a period of internal turmoil over succession. It could be possible that only the most senior among Taliban leaders know Omar’s true status, which may well include his death in 2013, but the rank-and-file within the organization continue to believe that he is alive and well. Indeed, without a commander for the faithful, Taliban members who oppose the group’s participation in any peace talks and favor the use of violence against the state to reinstate the Afghan emirate may be emboldened. The timing of the latest reports of Omar’s death, just ahead of a second round of fragile peace talks between the Ghani government and the Taliban, may not be a coincidence. As the fog clears, we may learn that Omar’s death has finally been substantiated, or we may be back to square one, where the Taliban insists that Omar is alive with no outside confirmation of this fact. Truth be told, no one has seen or heard from Mullah Omar outside of a small coterie of Taliban leaders and, beyond his symbolic role as a pillar of stability within the Taliban leadership, Omar’s existence has had little effect on the broader security situation in Afghanistan and the country’s fractured reconciliation process for years now. Indeed, the confirmation of his death may be the most he’s mattered in a while. Amrullah Saleh, the former head of Afghanistan's National Directorate of Security (NDS), discusses Mullah Omar's death.